The athletes of Richmond Synchro will skate with the public and demonstrate elements of synchronized team skating at RVA On Ice, located at Sixth and Broad Street, on Saturday from 1-2 p.m.
Now in its sixth year, RVA On Ice will be open Saturday from 12-11 p.m. and Sunday from 12–9 p.m. in its final week of the season. Synchronized team skating is the fastest growing discipline in figure skating. 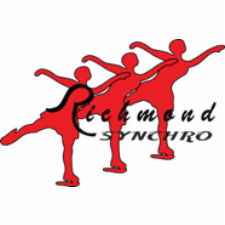 Five teams from Richmond Synchro will be representing the Richmond Figure Skating Club at the 2016 Eastern Synchronized Sectional Championships coming to the Richmond Coliseum and Greater Richmond Convention Center Jan. 28-30, 2016. The event is sanctioned by U.S. Figure Skating and will be hosted by the Richmond Figure Skating Club. More than 2,000 skaters from the east coast will travel to Richmond for three days of competition. The top finishers at each level earn a berth to the 2016 U.S. Synchronized Skating Championships, set for Feb. 24-27 in Kalamazoo, Michigan. The 2016 U.S. Synchronized Championships are the final qualifying event before the 2016 U.S. World Synchronized Skating Team is named. The 2016 World Synchronized Championships are set for April 8–9, 2016, in Budapest, Hungary. For more information, visit www.synchroeast2016.org. Tickets are available at the sweetFrog Box Office at the Richmond Coliseum and online at www.ticketmaster.com.